The Full View of the Okura-Shukokwan, c. 1920. 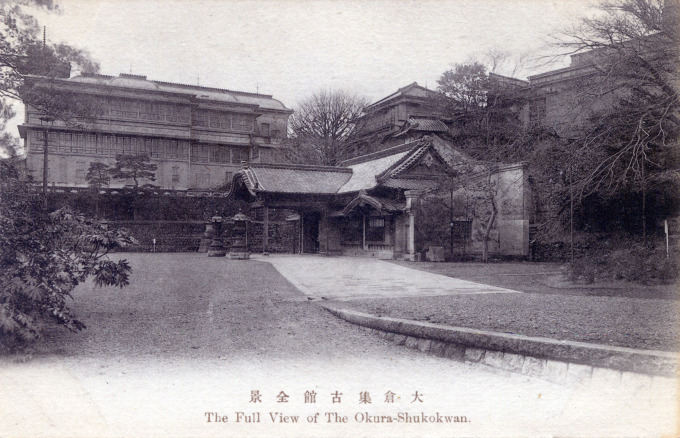 “To the lover of Oriental art there can be no place better worthy of a visit in Tokyo than the museum owned by K. Okura. The handsome building in which his treasures of art are installed stands crowning in the Reinanzaka hill in Akasaka, which last, when translated into the English tongue, means ‘the red hill’. “The mercantile firm of Okura & Co. stands in the lead among the best firms in Japan, but aside from his active business career of the last fifty years Mr. Okura has done more than any one individual to preserve to his country the art treasures of Japan. “In the year 1880, Mr. Okura commenced this work of preservation, one of his large purchases at that time being a complete Shogun shrine. The enforced separation of Buddhism and Shintoism brought sacred articles belonging to both religions upon the market, and for thirty-five years Mr. Okura has added to his collection whenever an opportunity offered. 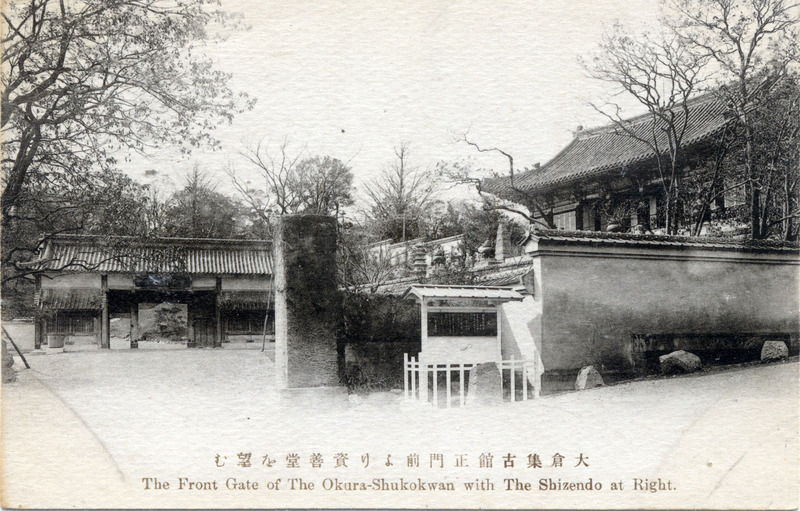 Main gate of the Okura Shukokwan, c. 1920. 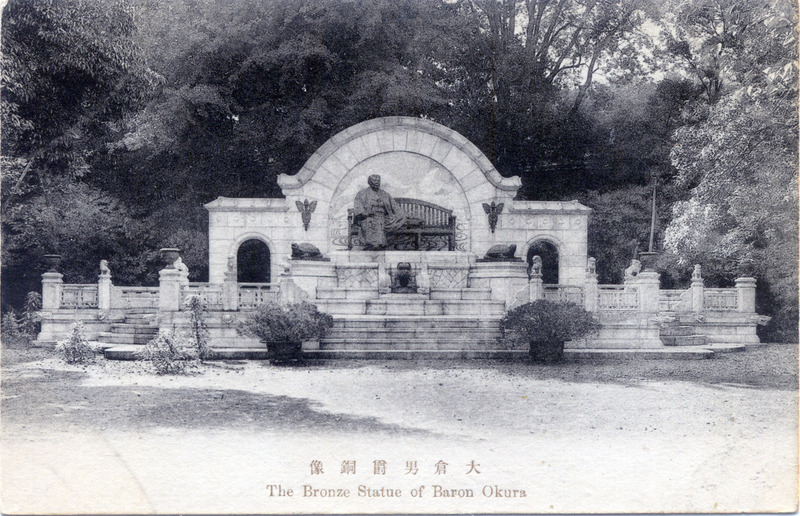 Bronze statue of Baron Okura, c. 1920.